The condition of the Jews of Germany was such toward the end of the thirteenth century that they were not for a moment sure of their lives and property. Under these circumstances many Jews emigrated. The return to Zion especially attracted the fugitives, as in that country very favorable conditions were obtained for Jews during the reign of the Mongolian Khan Argun and his Jewish minister Sa’d al-Daulah. Rabbi Meir ben Baruch, the Maharam from Rothenburg, was such a fugitive. In 1286 he set off towards the Holy Land. The journey went well at first and by spring the Maharam reached the mountains of Lombardy where he intended to stay until all his traveling companions had gathered. We do not know for sure if the Maharam was aware that there was a hunt for him, but it is likely that he knew that his flight from Germany will not be something the authorities could ignore. In the latter years of the thirteenth century, the imprisonment and extortion of Jews was good business, especially for the local rulers, King Rudolf I chief among them. The Maharam was leading such a band of emigrants, which, if continued, would have materially injured the imperial treasury. This movement therefore had to be stopped at all costs — and stopping the escape of a prominent wealthy religious leader was a good place to start. In the spring of 1286 while passing through Lombardy along with with his wife, his daughters, his sons-in-law, and all his family, Rabbi Meir was recognized by an apostate Jew named Kneppe (קניפפא) who was accompanying the Prince-Bishop of Basel. Shortly after, on June 28th, 1286, Count Meinhard of Görz, the lord of the city, seized the Maharam and delivered him to King Rudolph. By the order of the king, the Maharam was promptly imprisoned in the fortress of Ensisheim and held for ransom. Rudolf I knew that the religious leader of European Jewry would fetch a hefty ransom and indeed the sum of 20,000 (by some accounts 30,000) marks, an exoberant sum in those days, was raised for the release of the Maharam by his pupils and Jewish communities all over Europe. The Maharam, however, forbade his friends and followers to pay the ransom for him. In his selflessness he knew that once the ransom was paid, every noted Rabbi in Europe could be arrested and held for ransom that could cripple whole communities if raised. Thus the Maharam, basing his decision on the Mishna, opted to remain in prison, and even die there, in order to save others from a similar fate. אין פודין את השבויין יתר על כדי דמיהן, מפני תיקון העולם. Do not redeem captives for more than their worth, in order to repair the world. 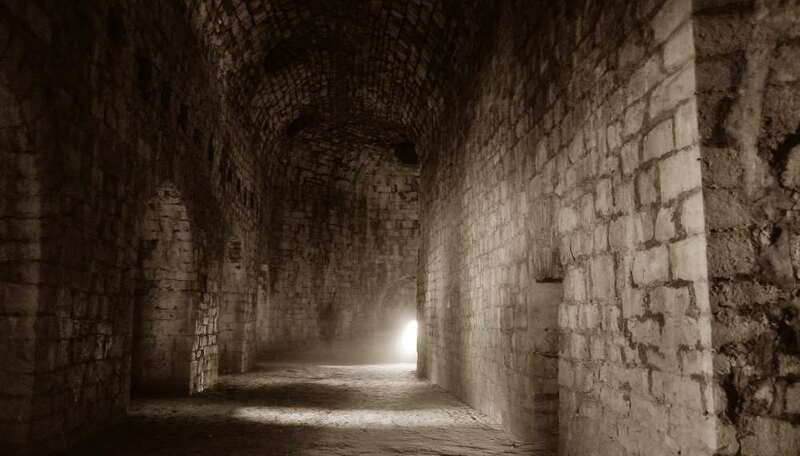 The Maharam remained a prisoner in the fortress dungeons for seven years until his death in 1293, at the age of 78. During this time his pupils were sometimes permitted to meet with him, and he was able to compose several of his works within the prison walls. Even in prison he was occupied solely with studying and teaching. He wrote, or revised, a large part of his works; and his responsa now took the place of oral instruction. After he died, his body was not surrendered until 14 years later, when a heavy ransom was finally raised by a generous Jew, Alexander Suskind Wimpfen of Frankfort. In return Alexander Suskind requested only that after his own death his body should be laid to rest side by side with the Maharam. 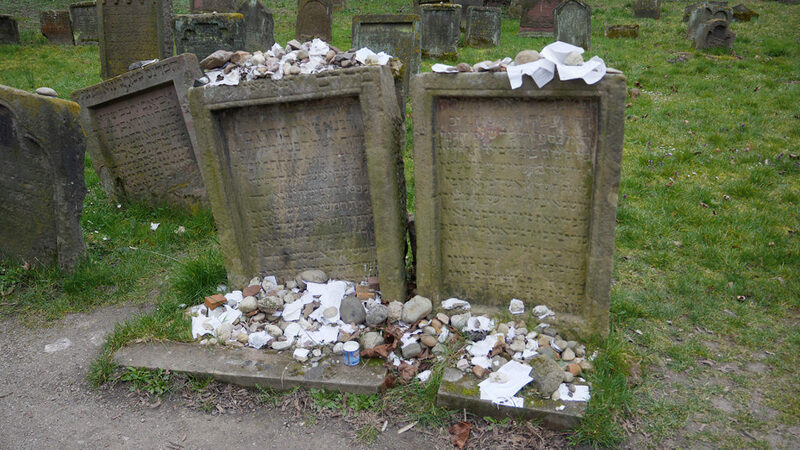 His wish was carried out when he died a year later, and in the ancient Jewish cemetery of Worms two tombstones stand side by side to this day, one for Rabbi Meir ben Baruch the Maharam of Rothenburg, and the other for Alexander Suskind Wimpfen of Frankfort. The Maharam’s seizure, imprisonment, and sad death have made a deep impression on Jews of the time and even to this day. The Maharam wrote no large single work, but many notes, commentaries and expositions. His writings include: Piske Erubin on the laws of the Erub; Halachoth Pesukoth–a collection of decisions on controversial points of Jewish law; Hilchoth Berachoth–on the blessings; Hilchoth Abeluth on the laws of mourning; Hilchoth Shechitah on the ritual slaughtering of animals for Kosher meat, and others. The Maharam was also a voluminous liturgical poet, nineteen of his poems being included in the German Maḥzor. On account of his great authority as a Talmudist, his compositions were included even in the liturgy of Yom Kippur and Tisha B’Av. Aside from Rashi and Rabbeinu Gershom, he is the only one upon whom the honorary title “Light of the Exile” (מאור הגולה) has been conferred.